A 28-year-old man has been rushed to hospital after being trapped in a bobcat for three hours in Sydney's west. 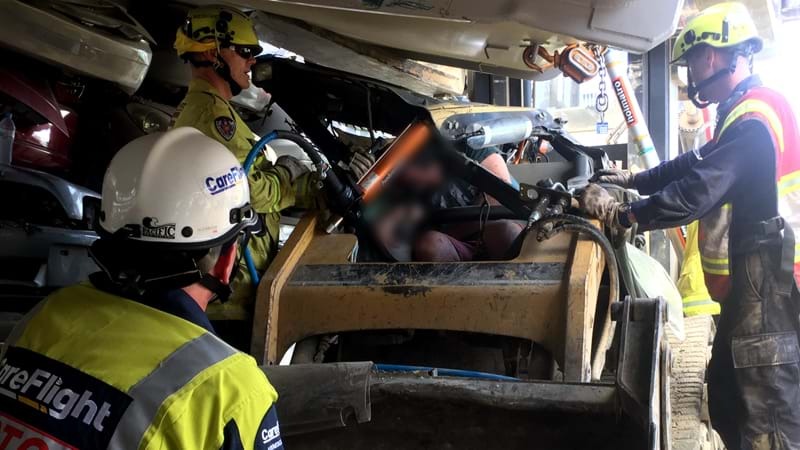 The incident happened in a wrecking yard in Blacktown, with the bobcat crushed under a truck. Fellow workers used a forklift to try to take some of the weight off the vehicle. The CareFlight helicopter arrived just after midday, with police, NSW Ambulance and NSW Fire & Rescue teams working to free the man. The man has been treated for neck, chest and abdominal injuries, and has been taken Westmead Hospital for treatment.